A dictionary is a window to the world. Let your child soar with a dictionary that is fun and educational. 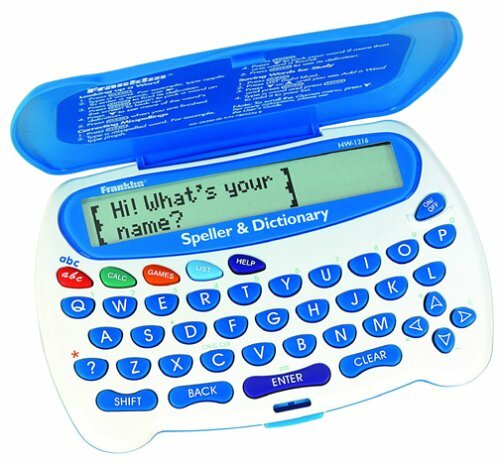 This HW1216 Speller & Dictionary is created specifically for children having ages 6 & up to help learn spelling, writing, and grammar. It contains over 40,000 simple, brief definitions. A printing and cursive handwriting animation feature is also there to demonstrate how to write any letter combination, word or series of letters entered. 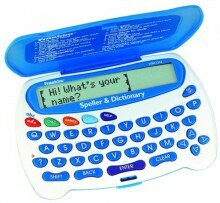 Click the button below to add the Franklin HW1216 Children's Speller & Dictionary to your wish list.